on Friday January 4th 2008 to raise funds for Sensational Kids. Tickets € 25 - Support Act is Karl Vincent. 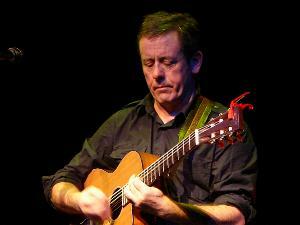 Luka Bloom's live performances are prolific and highly entertaining... Don't miss it! Karl Vincent is a native of Kildare who has also played in the Red Hot Music Club as part of their limited yearly concerts and the Green Room Sessions. 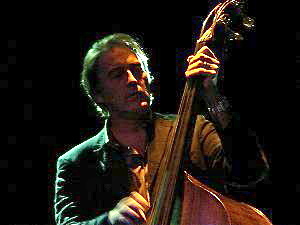 Recently he played in the Olypmia Theatre as part of the St. Patricks Day festival. Karl has also gained interest to appear on indie compilation Cds and has attracted the interest of publishing companies and was commissioned to write the song for KRM Radios "Search for a Star". Karl Vincent's debut E.P. 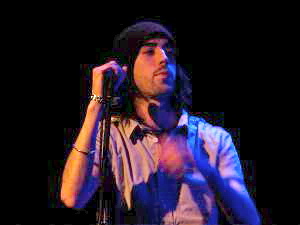 Lovers and Liars received widespread airplay, interest and favourable reviews. Karl is now working on a set of new material for future release. With a unique voice and crafted songs it's worth trying to catch one of his live gigs. 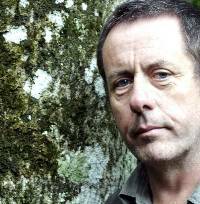 Luka Bloom will appear at the Riverbank, Newbridge on Friday January 4th to raise funds for local registered charity Sensational Kids. Sensational Kids is fundraising to open an occupational therapy centre for children with special needs. With support from Karl Vincent. Luka Bloom's live performances are prolific and highly entertaining whilst support act Karl Vincent is worth catching with his unique voice and beautifully crafted songs. A very special night. Don�t miss it. Tickets available from the Riverbank or Sensational Kids. 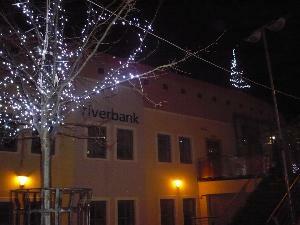 Information on all events, workshops and exhibitions, can be obtained by contacting the Riverbank on 045 433480 or logging onto www.riverbank.ie. Over €5,000 was raised at a charity concert for Sensational Kids in the Riverbank last weekend. Local talents Luka Bloom and Karl Vincent played to a packed audience for the gig, which was organised to support local charity Sensational Kids. The charity is fundraising to open an occupational therapy and sensory integration centre for children in Kildare. After a moving presentation from Sensational Kids about their plans to open an occupational therapy centre to help children with ordinary everyday tasks that other children take for granted, Karl Vincent took to the stage. With a his husky voice he enthralled the audience with his own songs and also had them singing along and doing backing to his own version of Video Killed The Radio Star. He left the stage to a tremendous round of applause from the audience who really enjoyed his performance. Next up was Luka Bloom and what a show! From moving ballads to hilarious songs about bog men he entertained the audience from start to finish and left them shouting and stamping for more at the end. Between songs he told stories and joked with the crowd. They were even treated to a few new songs, including one that he had just finished writing two days ago! Luka put on a tremendous show, moving the audience to silence in parts with his moody ballads and then racing back with hilarious upbeat songs that had the audience singing and clapping along. It was a truly sensational night, enjoyed by all. Afri (Action from Ireland) have a one day Peace and Justice conference at Féile Bríde 2008.
running up to Brigid's Day on the first day of February. 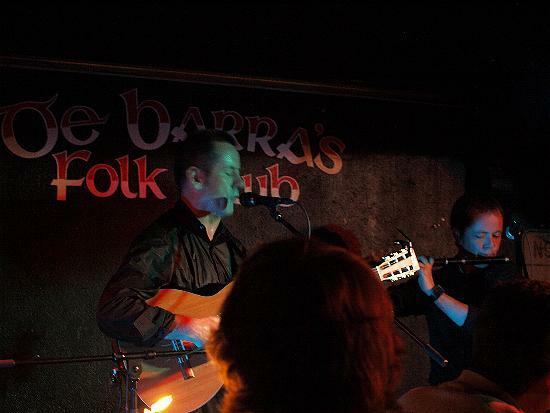 9.00 pm World Music Party followed by Seisiún - Ceol, Rince agus Craic! Seeing the World in a Different Way was the theme of Afri's Feile Bríde Conference 2008. Speakers such as Richard Moore, Mark Thomas, Bruce Kent, Therese Osborne, Barbara Raftery and members of the 'After School Arms Club' ensured that it was a memorable, informative and inspiring event. As well as exceptional speakers, we also had excellent drama from students of De La Salle and Presentation Secondary Schools in Kildare, who presented a wonderfully creative and stimulating piece entitled 'Calling the Shots, expertly produced and directed by the uniquely talented Pete Mullineaux. The music began with students from Scoil Mhuire Junior School performing local man Luka Bloom's song 'I am not at war with Anyone'. Later we had music from the aforementioned Luka Bloom, as well as Eithne Ní Catháin, Cormac Breatnach and more. The day concluded with a world music party and seisiúin, bringing down the curtain on a unique combination of education, information and entertainment. In 1972, aged 10, Richard Moore was blinded by a rubber bullet fired at point blank range into his face. Demonstrating an extraordinary ability to accept and deal with adversity, Richard never allowed himself to wallow in bitterness or self-pity. �I learned to see life in a different way� is how he explains this extraordinary positive attitude and his unique philosophy of life and positive attitude. Since he was blinded he has completed his education to University level, become a husband, father, accomplished musician, folk group leader and successful businessman. And ten years ago he founded �Children in Crossfire� aimed at addressing the needs of children around the world who are caught up in poverty and violence. He has recently met the soldier who blinded him and they have embarked on a journey of friendship. His memoir 'Can I give him My Eyes' will be published in 2008. 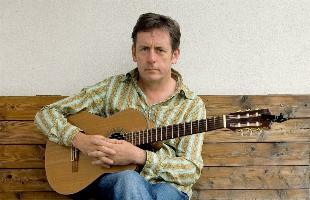 Luka Bloom, still to this day is one of the countries if not Europe's most talented singer songwriters, and someone who is often credited with being one of the main players in establishing Ireland's contemporary singer songwriting scene as well as one of the pioneers of electro-acoustic music. Today he is as brave and unflinching as ever in his artistic endeavours as is the proof in his latest album 'Tribe' a collaboration with Clare based contemporary music writer Simon O'Reilly, This experimental album in which Bloom mostly sang, playing guitar on just two tracks, is a testament to his great talent and constant evolution. However it is in performing where Luka has earned most of his formidable reputation and to see him live is to witness the craft at its pinnacle. His solo shows are full of beauty, warmth, humour and the vigorous energetic strumming of his guitar for which he is famed. Add to this the amazing variety of his songs that delve deep into love, nature, identity and defiance and it is clear to see why he is perhaps one of the most consistent and talented artists in Irish music over the last thirty years. 'Fall' For The Cathedral Quarter Arts Festival 2008! The 9th Belfast Cathedral Quarter Arts Festival jumps back into action on Thursday, May 1st with an ever more ambitious programme transforming the city centre once again with art, literature, music, comedy and theatre. Over twenty venues in Belfast's Cathedral Quarter will come alive with arts activity during the festival which will feature 140 acts from all around the world. As always this year's music programme is eclectic and features everyone from Liam Clancy, the man hailed by Bob Dylan as "the best ballad singer I ever heard in my life", to the maverick genius of Mark E Smith and his band, The Fall. Other musical thrills come in the form of Beatlegras who revisit the Beatles songbook Bluegrass style, American icon, Jonathan Richman, accordion virtuoso, Sharon Shannon, legendary singer-songwriter, Luka Bloom and Canadian Roots superstars, The Wailin' Jennys. If comedy is your thing, performing this year are Jerry Sadowitz, Simon Munnery, Andrew Maxwell, Brendon Burns and Andy Parsons. A wide-ranging programme of theatre includes a unique presentation of Spokesong and Pentecost by Stewart Parker in the old Northern Bank Building and the Edinburgh Fringe hit 'Wish I had a Sylvia Plath'. The story of imprisoned Burmese leader, Aung San Suu Kyi is told in 'The Lady of Burma', and the play 'Woody Sez' celebrates the life of Woody Guthrie. A strong literature line-up includes the feminist icon, Germaine Greer, Booker Award nominee, Colm Tóibín and poet rapper, Lemn Sissay. Add in an entire weekend of Circus and Street Theatre, Visual Art, Sound and Vision and a fantastic closing event featuring the Ulster Orchestra and a the soaring talent of Sinead O'Connor and Belfast is poised to enjoy a truly world class festival of arts and culture. The Cathedral Quarter Arts Festival runs from May 1st-11th, 2008. The full programme will be available from April 4th on www.cqaf.com. Contact: Tel: 028 90246609. One of our best loved singer-songwriters, Luka Bloom retains an innocence and optimism in his work that translate as neither naivete nor wishful thinking - rather an eloquent belief in human communion - musical or otherwise - as a force for good. This has largely been the inspiration behind his latest album Tribe. His incredibly gifted electro-acoustic playing guarantees an impassioned live performance of his original, poetic and melodic songs. There is nothing nicer than a singer/musician stopping during the chorus of a well-loved song, putting down his guitar and letting the audience sing as if they were in their own living rooms. 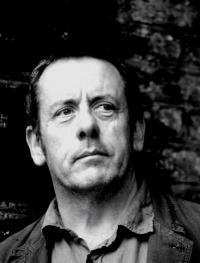 That sort of intimacy is priceless and it�s the sort that Luka Bloom can conjure up in an instant � or in a Sunday afternoon gig at the Black Box as part of the Cathedral Quarter Arts Festival. Sunny Sailor Boy had the full house gently u-a-u-aying and joyfully warbling "You couldn�t have come at a better time". Bloom's songs are Irish to the core but his scope is universal. There's obviously something in the Moore DNA that sparks creativity. Luka � aka Barry Moore � has his brother's flair for finely crafted songs that tell stories, or have a political message or talk of his inner feelings. He is a searingly honest songwriter who wears his songs on his sleeve. He is also good company. He connects with his audience as much through his wit and personality as through his repertoire. Bloom's guitar-playing is just as expressive but the show got an added kick when the festival�s artist in residence, the wonderful young violinist Ruby Colley, joined in. A great way to spend a Sunday afternoon! Culture Factory hold their second fundraiser gig in the Riverbank Arts Centre on Wednesday the 7th of May. 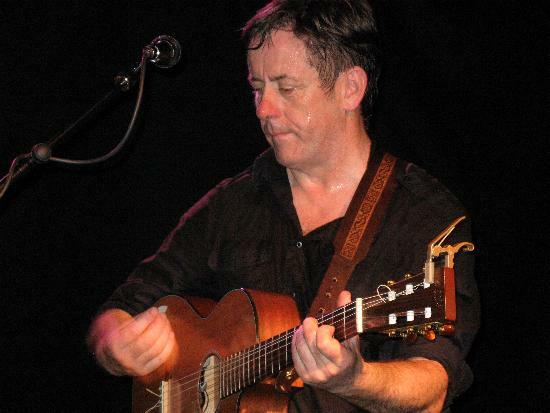 And to show his support for the Young people of the town Newbridge man Luka Bloom (known more to his family as Barry Moore) has offered his services to perform. Acoustic hero, Moore began his career in the US in the late 70�s playing in small clubs around Washington DC and New York City. From these small shows his popularity grew throughout the 80�s and by the early to mid-90�s he had a global cult following allowing him to tour all over the world. 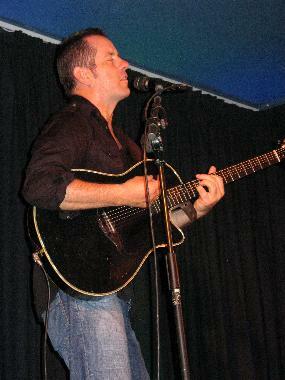 He�s won guitar critics respect for his innovative use of strumming techniques and is could almost be considered Newbridge�s biggest export, second only to his brother Christy. 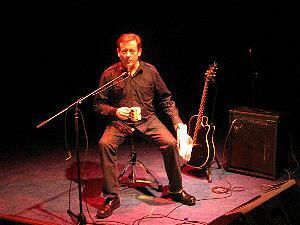 The performance promises to show Luka Bloom at his very best, playing songs that span his entire career. Support on the night comes from Local Newbridge acts Cutting Off Kids, Ciaran �Sully� O�Sullivan and newly formed Mary Bellos in their first Newbridge performance. The Culture Factory will also premiere their documentary 'The Culture Factory: A Beginning?'. The Culture Factory group was born of the frustration and anger at the lack of facilities for the young people of Newbridge and it was quickly agreed that that something must be done to tackle the chronic shortage of services. We aim to provide a suitable space that will promote the creative collaboration between artists & young people, many of who, are excluded from what is traditionally regarded as the �arts sector�. The funds will go towards our brochure & company registration with charitable status. Tickets for the show cost €10/€15 and are available at the Riverbank box office. They can be ordered by contacting them at 045-448333. 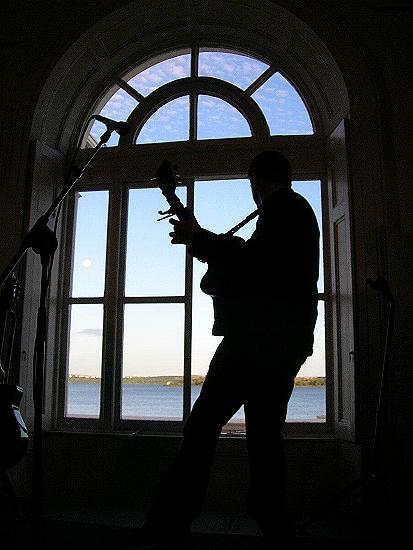 John Spillane's concert is on Saturday 17th May at 8.00p.m. in the school. 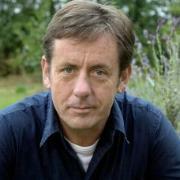 Tickets cost €15 each or €25 for a ticket to this concert and Luka Bloom's concert. Both will be great nights, so come along and enjoy! 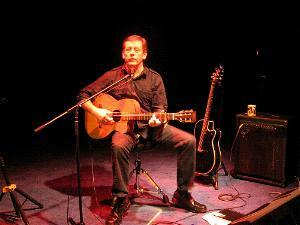 Luka Bloom's concert is on Friday June 6th in the school at 8.00 p.m. He will be supported by Philip Scott. Tickets for this concert are €15 or €25 for both concerts as above. 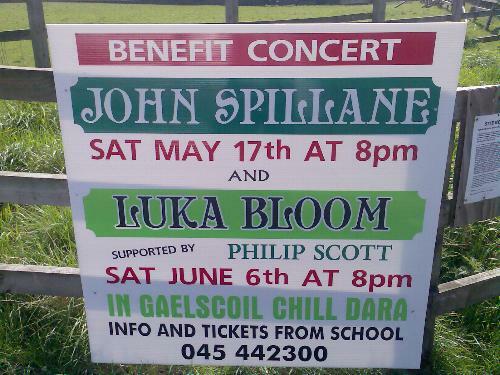 Sterling Irish musicians Luka Bloom and John Spillane are to perform at separate concerts to be held at Gael Scoil Chill Dara on 17 May and 6 June respectively. Proceeds from the concerts will go to the Myers Family Fund, which was set up following the fatal collision near Nurney where two children from the Myers family lost their lives. "The concerts will be staged in the school and hopefully, if the weather is good, people will be able to experience the pleasant surroundings. John Spillane will be of particular interest, not least because he has released a new album," said principal Sean De Paor. The fund was established to provide support for the Myers family from Nurney, following recent tragic events. Niamh and Cian Myers lost their lives in a road accident, which also resulted in their mother Deirdre and brother Eoin receiving serious injuries. Both children were pupils at the school and the fund was set up by a group of parents who also have children studying there. Declan Rasmussen, chairman of the fund committee, thanked all who have supported the fund so far, explaining that it would provide practical support for the family. The Myers Family Fund account was opened at the Naas branch of the Bank of Ireland (a/c no 86930742; sort code 90-12-39). "More events are planned over the coming months and we hope people will give as generously as possible to help the family at this very difficult time," said Mr Rasmussen, who can be contacted at 087-6900761. Tickets for the concerts cost just €15 each, or €25 for tickets to both events. Both concerts will take place at 8pm. Meanwhile those interested in taking part in the mini-marathon can contact Rosa Terasa at 086-2930137.
again to help raise funds for the Spiritual Care Centre. The meditation room was filled to capacity to enjoy another fine evening's entertainment. this time with the project so close to completion. 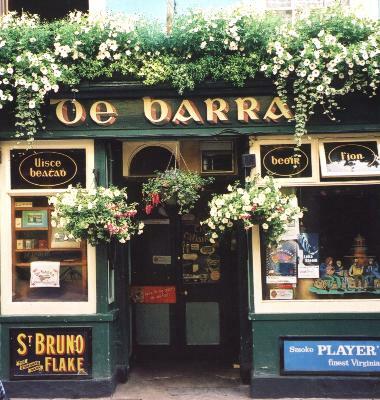 This July De Barra's are delighted to announce a special residency with the amazing Luka Bloom. 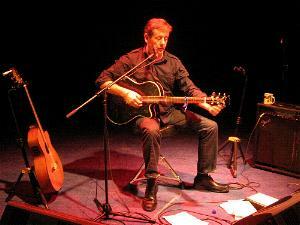 Luka Bloom, still to this day is one of the countries if not Europe's most talented singer songwriters, and someone who is often credited with being one of the main players in establishing Irelands contemporary singer songwriting scene as well as one of the pioneers of electro-acoustic music. Today he is as brave and unflinching as ever in his artistic endeavours as is the proof in his latest album 'Tribe' a collaboration with Clare based contemporary music writer Simon O'Reilly, This experimental album in which Bloom mostly sang, playing guitar on just two tracks, is a testament to his great talent and constant evolution. However it is in performing where Luka has earned most of his formidable reputation and to see him live is to witness the craft at its pinnacle. His solo shows are full of beauty, warmth, humour and the vigorous energetic strumming of his guitar for which he is famed. Add to this the amazing variety of his songs that delve deep into love, nature, identity and defiance and it is clear to see why he is perhaps one of the most consistent and talented artists in Irish music over the last thirty years. 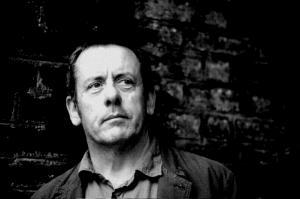 Luka Bloom will be performing in the Library at Bantry House on 25th July at 8 pm. and tickets sold on the night. Murphys Live presents... Cork X Southwest festival. The one-day event takes place in The Showgrounds in Skibbereen, Co. Cork this Saturday 26th July and will feature The Walls, Cathy Davey, Jape, The Agnostic Mountain Gospel Choir, Andrew Weatherall, Fish Go Deep, John Spillane, Roesy and Luka Bloom amongst many others. A fantastic range of local food produce will be on offer including Carribbean Enterprises, Roumoulds crepes, West Cork Grill and Deli, Declan O Flynns gourmet sausages and Mo Crawleys organic vegetarian smokehouse. Luka Bloom will play in the newly renovated Clarke Hall on Saturday 30th August in what promises to be a brilliant nights entertainment in Borrisokane. Renovation of the Hall is just about complete and the excellent committee has done fantastic work in making sure that this great facility is preserved for the artistic entertainment of both Borrisokane and the entire of Lower Ormond. 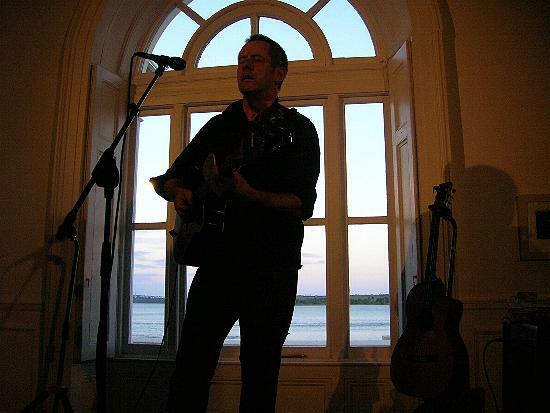 To have Luka Bloom playing in Borrisokane is a great coup for the Hall Committee and on the night, support acts will include "The Wellwishers" together with Darby Carroll and Ann Marie O'Grady. A superb nights entertainment is certain and tickets are now available from any Clarke Hall Committee Member of Town Park Committee member. Make sure to get your ticket early as this will be a concert not to be missed. The refurbishment of the Clarke Memorial Hall in Borrisokane an the town's impressive new Town Park will be the joint beneficiaries of the proceeds of Saturday night's concert in the Clarke Memorial Hall, writes Gerry Slevin. 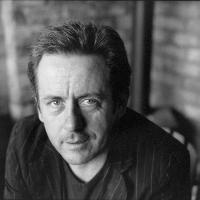 Topping the bill will be Luka Bloom, the Newbridge (Kildare) Kildare native singer/composer and brother of balladeer Christy Moore. Luka will be accompanied on the bill by The Wellwishers, Darby Carroll and Ann Marie O'Grady in what promises to be quite an exciting evening of music and song. 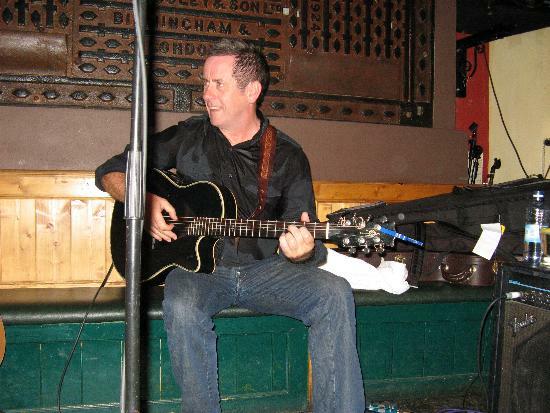 The man responsible for bringing Luka Bloom to the Borrisokane venue is local native Michael Doorley, a personal friend and the man whose work 'Stella Days' a memoir of cinema days in Borrisokane is in pre-film production. It is expected that there will be definite word about the film's take-off very shortly. According to Michael, Luka Bloom, Darby Carroll and Ann Marie O'Grady have composed a theme song for the film to which they may give a premiere on Saturday night. A seven-a-side all-weather pitch is the latest addition to the Town Park, planning permission having been recently received as well as for flood-lighting, changing rooms, toilets, showers and a meeting room. Extensive renovations to the historic Clarke Memorial Hall have now been completed, this valuable amenity to the town's social, cultural and entertainment life now restored to excellent condition. Both the Town Park and the Hall are of immense benefit to the life of Borrisokane and its people and that they are to be the beneficiaries of Saturday night's concert is a clear indication of how important it is that the Hall be packed for the event. Along with an assurance of a great evening's entertainment -- it begins at 8.30pm - there will be the knowledge of contributing to two excellent causes, so dear and so vital to Borrisokane people. Tickets at €20 are available through Gay (067-27345), Sean (086-0678124) or through any member of the Hall or Town Park committees and will also be available at the door on Saturday night. Internationally acclaimed singer-songwriter Luka Bloom will release his twelfth album, Eleven Songs, on October 10 on Big Sky Records coinciding with the start of his national tour which begins at the Birr Theatre and Arts Centre on the same date. The album will be preceded by the lead radio single, 'I'm On Your Side'. Returning to the raw live sound of his earlier records and brimming with inspiring lyrics and sumptuous melodies, Eleven Songs reminds us why Bloom is such a master of the concert stage. The album was co-produced by Luka and David Odlum (ex-Kila and ex-The Frames) and recorded in Grouse Lodge in Rosemount in Westmeath. Musicians on the album include Dave Hingerty (ex-The Frames), Trevor Hutchinson, Liam O�Maonlai (ex-Hothouse Flowers), Paul Smith, Cora Venus Lunny, Ken Edge, and the Gardiner St. Gospel Choir. Backing vocals are Sinead Martin and Robbie Moore. Over the years Luka has brought his songs to clubs, theatres, festivals, bars and arenas all over the world. In the last ten years he has concentrated in performing in Australia, Holland, Belgium and Germany. His incredibly gifted electro-acoustic guitar playing guarantees an impassioned live performance of his original, poetic and melodic songs. The Birr Theatre and Arts Centre box office can be contacted on (057) 9122911. Internationally acclaimed singer-songwriter Luka Bloom celebrates the release of his twelfth album 'Eleven Songs', with an intimate gig in The Dock before his Vicar Street show in November. Luka has enjoyed eighteen years of successful worldwide tours, and in his new studio album he returns to the raw live sound of his earlier records, reminding us why he is such a master of the concert stage. His incredibly gifted electro-acoustic guitar playing guarantees an impassioned live performance of his inspiring and sumptuously melodic new and old songs. This gig will be Luka's first time to visit The Dock and it promises to be a sublime night of folk rock and roots music! The Dock is housed in the beautiful 19th Century former Courthouse building, overlooking the majestic river Shannon, which has been wonderfully restored into Leitrim's first integrated centre for the arts. The Dock houses a 100+ seat performance space, three art galleries, artists studios, an arts education room and it is home to The Leitrim Design House. from 11 Songs, his latest album. With his new studio album Luka returns to the raw live sound of his earlier records, reminding us why he is such a master of the concert stage. His incredibly gifted electro-acoustic guitar playing guarantees an impassioned live performance of his inspiring and sumptuously melodic new and old songs. Internationally acclaimed singer/songwriter Luka Bloom will make a welcome return to Cork on Saturday, October 18 for what promises to be a magical night at the Savoy Theatre. The Kildare native, the younger brother of the legendary Christy Moore, will play the venue as part of his latest Irish tour to mark the release of his 12th album 11 Songs which will hit the shelves next week. The album has been preceded by the lead single I'm On Your Side, which has already received considerable airplay on Irish radio stations. 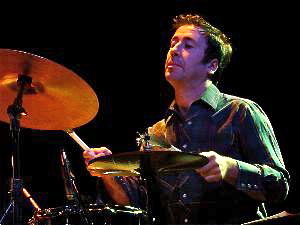 For almost two decades Bloom has enjoyed tremendous success across the world, getting his big break in 1987 when he toured the US with the likes of The Pogues, The Violent Femmes, Houthouse Flowers and The Cowboy Junkies. Over the past 10-years he has concentrated in performing in Australia and on the European mainland when his distinctive electro-guitar style and melodic riffs have earned him a huge fan base. Bloom's love for playing in front of a live audience has never been more apparent than on 11 Songs. While not a live album it returns to raw almost live sound of his early albums and acts as a potent reminder of why he is such a master of the concert stage. Co-produced by Bloom and Dave Odlum (former Kila and Frames guitarist), the pait have managed to bring together a stellar line up of backing musicians and singers. These include former Frame Dave Hingerty, Hothouse Flowers frontman Liam O Maonlai, Paul Smith, Cora Venus Lunny, The Gardiner Street Choir, Sinead Martin and Robbie Moore. His Irish tour will offer fans a rare opportunity to hear songs from the new album live as well as many tracks from his extensive back catalogue. Tickets for the Cork gig at the Savoy cost €22.50 from www.tickets.ie. Luka Bloom will play a surprise show this Thursday the 30th of October in De Barra's with his new band as a special autumnal treat! Tickets for the show will be on the night and priced €20! 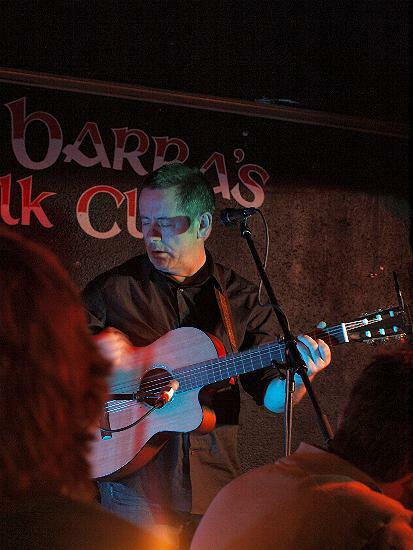 Luka Bloom will return to De Barra's this Thursday to perform a special show that will focus on his latest release the fantastic and critically acclaimed 'Eleven Songs'. joining him on the night for this special show will be some special guests that currently make up his fantastic live band. For those of you unfamiliar with Luka, he is one of the countries if not Europe's most talented singer songwriters, and someone who is often credited with being one of the main players in establishing Irelands contemporary singer songwriting scene as well as one of the pioneers of electro-acoustic music. Today he is as brave and unflinching as ever in his artistic endeavours as is the proof in his previous album 'Tribes' a collaboration with Clare based contemporary music writer Simon O'Reilly, This experimental album in which Bloom only sang, playing guitar on just two tracks, is a testament to his great talent and constant evolution. However it is in performing where Luka has earned his formidable reputation and to see him live is to witness the craft at its pinnacle. His solo shows are full of beauty, warmth, humour and the vigorous energetic strumming of his guitar for which he is famed. Add to this the amazing variety of his songs that delve deep into love, nature, identity and defiance and it is clear to see why he is perhaps one of the most consistent and talented artists in Irish music over the last thirty years. Vicar Street on Saturday, November 1st. 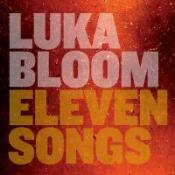 Luka Bloom is back with a new album and to coincide with that release will be performing live @ Vicar St. this November 1st. Tickets for Luka Bloom are €28 on sale tomorrow Wednesday, September 10th @ 9am through Ticketmaster and other usual outlets nationwide. Booking Line: 0818 719 390. 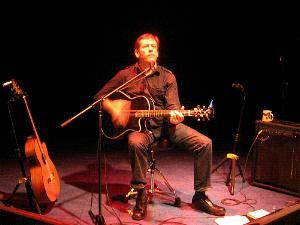 Internationally acclaimed singer-songwriter, Luka Bloom, has enjoyed eighteen years of successful worldwide tours, and will be releasing his twelfth album 'Eleven Songs', worldwide in October 2008. With his new studio album Luka returns to the raw live sound of his earlier records, reminding us why he is such a master of the concert stage. His incredibly gifted electro-acoustic guitar playing guarantees an impassioned live performance of his inspiring and sumptuously melodic new and old songs.